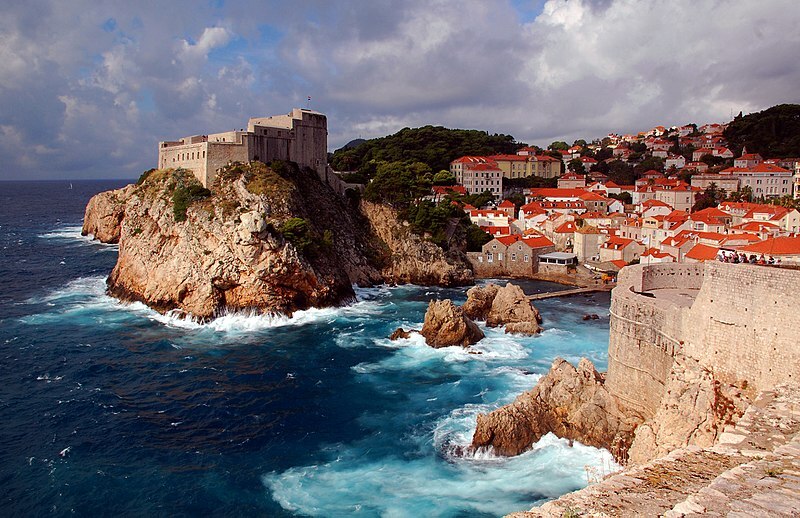 Chock it up to Game of Thrones but Dubrovnik and the Dalmatian coast are two of Croatia’s most popular tourist destinations. Cobblestone streets and 16th-century architecture provide a window into the country’s complex cultural heritage. Spanning the entire southeastern region of the country, the Dalmatian Coast offers a scenic route along the Adriatic. Take Rijeka all the way down to Dubrovnik to make the most of your time. 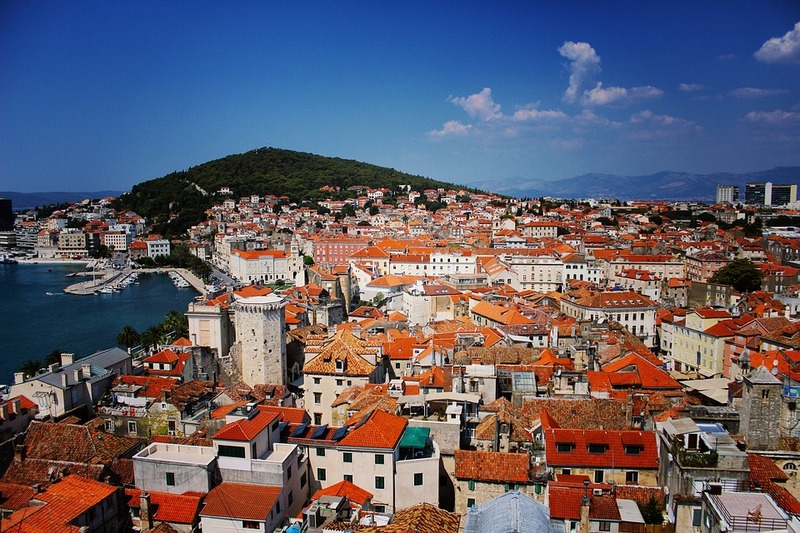 As Croatia’s second largest city, Split offers a great insight into the way the locals live. An effortless juxtaposition of the ancient and modern, this vibrant city strikes just the right balance. One of the first things you’ll see is the Diocletian’s Palace. A UNESCO World Heritage Site, it is a reminder of one of history’s greatest civilizations. Interwoven among the monuments, you will find a string of charming cafes, local shops, and shabby cottages. Dramatic coastal mountain ranges run as a backdrop to it all, providing a strong contrast to the vibrant blues of the sea in the distance. 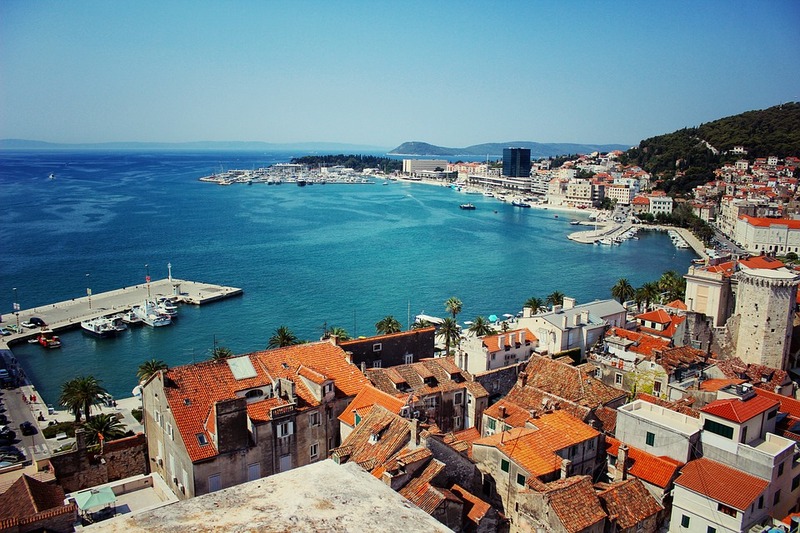 While it may never be as much of a draw as Dubrovnik, Split is certainly better off because of it. Perched along the Adriatic, this coastal city is known for its scenic landscape and preservation of old architecture. Roaming the streets, you’ll find massive stone walls, forts, baroque architecture, and Gothic cathedrals. Among the most prominent structures is Rector’s Palace, now a history museum. The limestone Placa is lined with shops and restaurants. As you explore, you’ll find a resilience in the city and its people. Dubrovnik has come a long way since the infamous Serbian raid bombings of 1991. While few people originally thought the breakup of Yugoslavia would reach Dubrovnik, the bombings proved otherwise, running from November of 1991 through May of 1992. The attacks caused substantial damage to the city but somehow, the historic fortifications remained steady. The logic behind the attack was convoluted but one thing was clear - it resulted in the strength of Croatia’s morale. Today, the city has come back with a vigor that attracts travelers from around the world. There is something undeniably captivating about the spirit of Dubrovnik. Take it just as it is and find beauty in the small things. There’s something about the way the streetlights dance across the old stone buildings, that older couple walking hand in hand across the cobblestone street, the museums replete with treasures. Take the cable car up to the viewpoint of Mount Srd. This truly is the Pearl of the Atlantic. 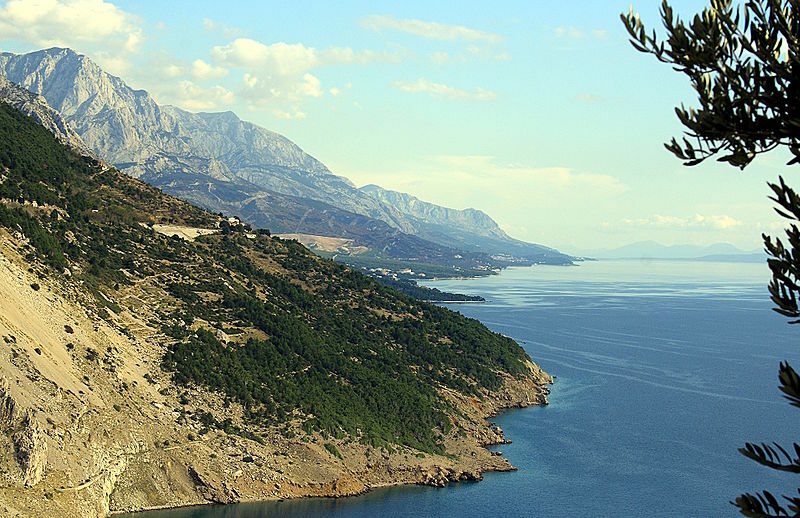 Drive an hour and a half along the coast from Split through the Hinterland. You’ll pass the town of Sinj and Peruca Lake, as you wind your way through a valley framed by barren mountains. Start your hike off at the ruins of the Glavas Fortifications, marked by a large blue shipping container. 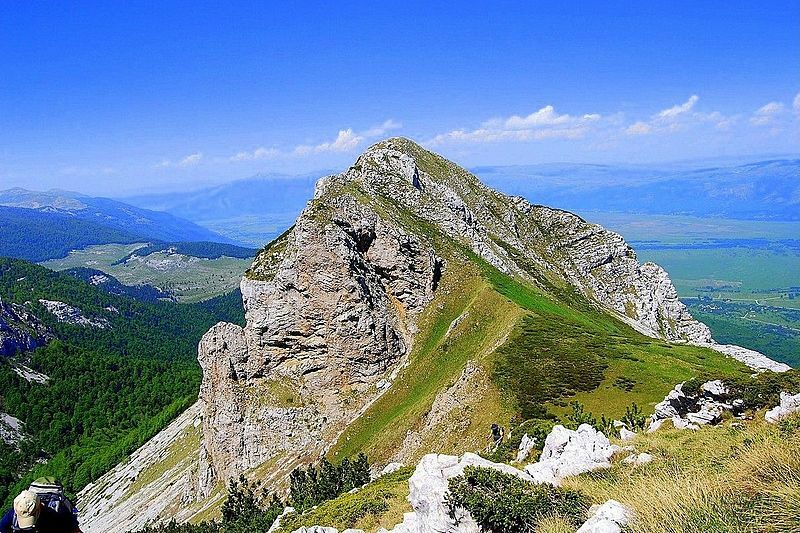 Stretching some 100km long, the mountain is divided up into four groups: Ilica, Dinara, Troglav, and Kamesnica. With the exception of Dinara, most of the range is sheer rock and grass, barren of forests or other vegetation growing on it. Historically, the land was the grazing region for pastoralists, used extensively some 20-30 years ago by thousands of migrants and their cattle. The sheer volume of Dinara is amazing, rising some 1400 meters from the foothills to sheer cliffs overlooking a vast expanse below. The Oslijak cliffs provide the highest vantage point, cutting a rough edge of the face and gradually descending until it melts into a plateau at the town below. For adventurers and landscape photographers, this is the place to be. You won’t find a more striking contrast than the sharp topography painted against the sleepy town below. Despite its beauty, the mountain doesn’t attract many climbers. So, if you are brave enough to face it, you’ll have a ‘Walden’ moment you’ll never forget. Ranked as one of the world’s top ten most beautiful beaches by Forbes Magazine, Punta Rata offers a unique experience for the adventurous traveler. It’s not your typical European tourist destination. Follow Vrulja until chalk white cliffs plunge 100 meters into the sea. Pristine sand meets a vibrant blue, painting an ever-changing picture on the land as the waves ebb and flow. You’ll find this famous beach located about 800 meters west of the main town center. It’s home to the famous stone of Brela. On the shores, small stones give way to the crystal clear water of a shallow sea. The popularity of the beach can be seen by its “Blue Flag” accommodations. There are various tourist services available, including umbrellas and lounge chairs, jet skiing, pedal boat rentals, and more. Walk further along the pine tree-lined beach and you will find showers, restrooms, changing rooms, and all the conveniences you need to enjoy a day at the beach. This is one of our favorite places to visit along the Dalmatian coast. Founded in 1963 by Fr. Jure Radic, the Malacological Museum showcases over 3,000 different types of seashells. It’s the most famous collection of its kind in all of Croatia. In addition, you will also find a valuable herbal plant collection and a small paleontological museum too. This is a great way to gain an understanding of life in the Adriatic Sea. You will learn a great deal about tropical and subtropical seas as well as varying types and colors of shellfish. The crystal clear Adriatic, lush green mountains, and the deep river canyon of Cetina come together to form the wonder that is the Omis Riviera. Come explore and learn about nature in the Dalmatian Coast, the great history of the city, and chat up the friendly locals. From east to west, beautiful beaches stretch as far as the eye can see. The largest beach, Velika Plaza (big beach) is ideal for families and those seeking something fun to do during the day. Here, you can participate in activities like snorkeling, volleyball, swimming, and windsurfing. After soaking up your fair share of sun, walk along the strip and explore all the cute cafes and restaurants. While you might feel like you’re a world away from the bigger city life, this part of Omis is just a ten-minute walk from the center of town. While you’re in Omis Riviera, you can’t miss visiting the River Cetina. This monumental canyon offers some of the most stunning river views in all of Europe. Within the last twenty years, this area has become a popular spot for kayaking and rafting. Located on the northwestern slopes of the mountain Dinara, there are eight river springs. The largest source is Glavas Lake, spanning some 130 meters. Above the river source lies a prehistoric cave called Gospodska Pecina (Gentleman’s Cave). This place served as a habitat for multiple people groups across different epochs. The banks of the river and the mountains around it are rich archaeological sites, full of buried artifacts just waiting to be found. In the nearby karst areas, archaeologists have found findings that were living witnesses of their time, now held on display at the Museum of Cetina located in Sinj. This is one of the most famous scenes in Croatia. While it’s a little ways from the Dalmatian Coast, it’s more than worth the day trip. 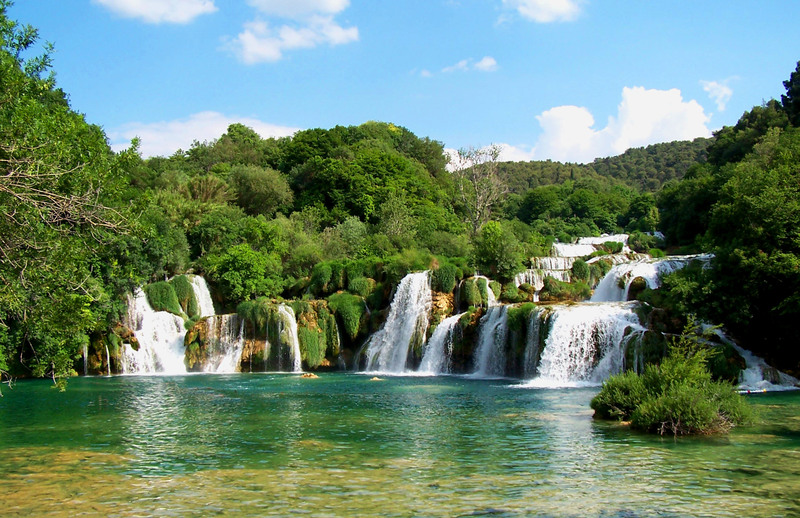 Krka National Park offers travelers lush greenery, cascading waterfalls, and the chance to swim in the refreshing waters framed by an otherworldly landscape. 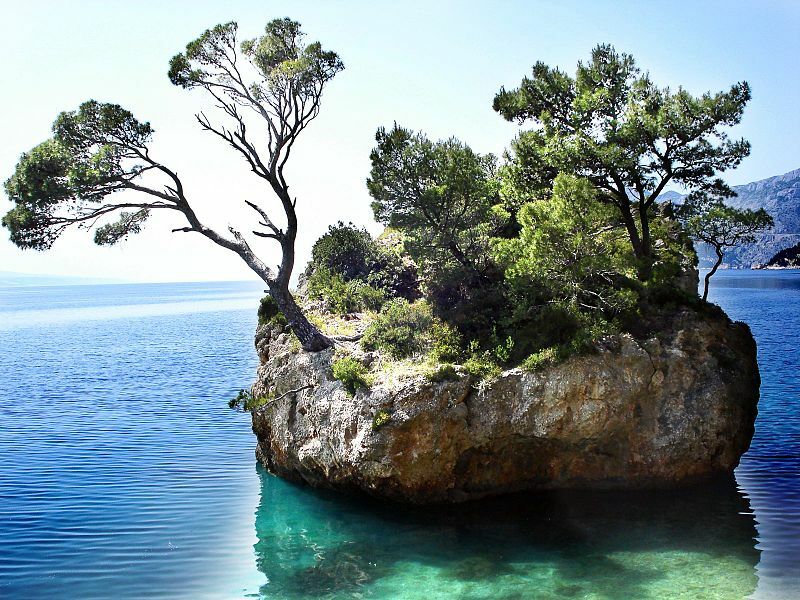 This national park runs all the way from the Adriatic near Sibenik inland into the country’s interior. A magical place of deep river gorges and vibrant gushing waterfalls, the water carves its way through the canyon like a sculptor shaping clay. But the nature is not the only draw. To the north, monks drawn to the remote region built their monasteries here. The most famous is Krka Monastery, constructed above ancient Roman catacombs. 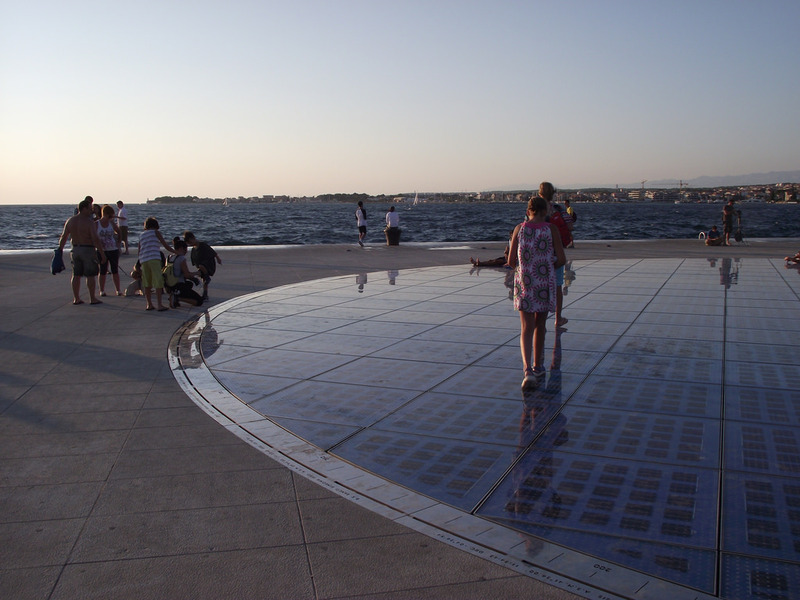 When in the Dalmatian coast… Visit Zadar. Here, you’ll find the giant Sea Organ. This fascinating audio installation is built into a series of steps descending to the waterfront. Driven by the waves and wind, it creates a beautiful synthesis of sound expelled through small openings (whistles) in the stairs. Built in 2005, this feat of engineering earned its designer, Nikola Basic, the European Prize for Urban Public Space in the next year. If you walk just a little bit further, you will also find the Sun Salutation. This circle of LED lights and solar panels comes to life at night to create the most vivid recreation of a sunset you’ve ever seen. These two experiences alone make Zadar a must-see stop on the Dalmatian coast. While the Dalmatian coast is undoubtedly stunning, no trip to Croatia is complete without visiting one of its nearby islands. With over 1,000 to choose from, the options run the gamut. Where to go all depends on what type of vacation you’re looking for. Hvar is the most fashionable and lively of the islands, famous for its nightlife scene. 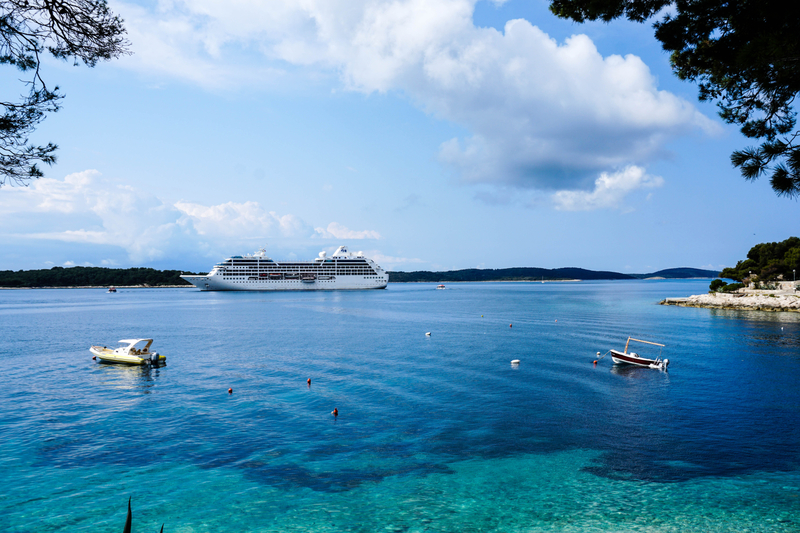 If you’re in the mood for an adventure, Brac is more your scene. It’s great for parasailing and windsurfing. Zlatni Rat beach offers a fun place to explore some scenic caves and bays around the island. Foodies head to Vis or Korcula. Last but certainly not least, the Mijet archipelagos is your best bet to explore unspoiled nature. Head to the far southwestern coast and you will come across the idyllic city of Istria. Pushed against the Italian border, it certainly feels like a world apart from the crowds you’ll find in Dubrovnik and Split. If you’re looking for something a little out of the ordinary, this town offers an immersive experience. Ancient Roman history is interspersed throughout vineyard hills, terracotta rooftops dot the horizon line, and pastel villages give off a Cinque Terre-esque flair. While there are admittedly a few touristy towns in the mix, Istria is still definitely a place worthy of your stop along the Dalmatian coast. One of our favorite stops is in the seafront port of Rovinj. Rising from the Adriatic, it presents a dramatic contrast with the landscape, perched atop the rolling hills and sharp cliffs. 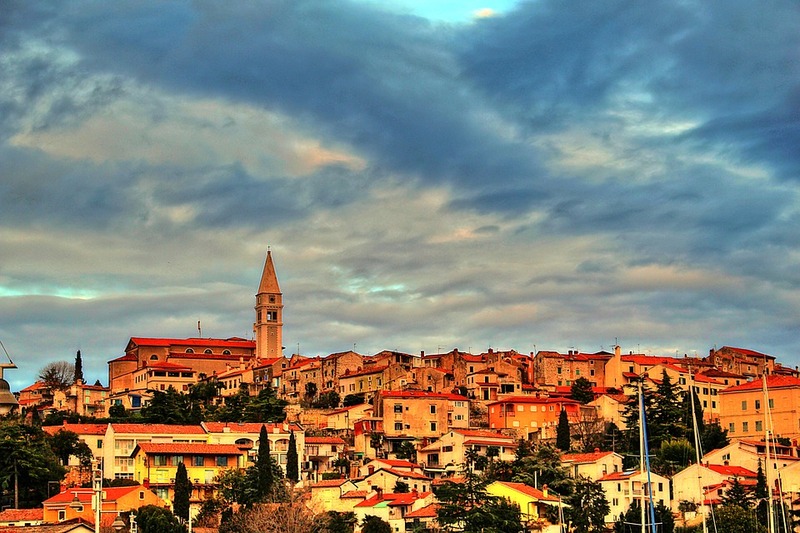 One of the most Italian-looking towns in Croatia, it has all the characteristics storybook towns are made of. Cobblestone streets, winding alleyways, little coves to dip your feet along the shoreline… And as a framework to it all, ancient houses line the shipyards, housing a thriving fishing industry. Another interesting town to visit in Istria is Pula. The antithesis of Rovinj, this bustling center is anything but quaint and quiet. It's a fascinating juxtaposition, really. But even among all the hustle and bustle, it still has the soul of a Roman poet. Even walking around the crowded shipyards and apartment complexes, you will find historic ruins of a once great empire. Among the most famous ruins are a fully intact amphitheater, marking the entryway to an old town of temples and arches. A cultured region rich in museums, ruins, and natural beauty, the Dalmatian coast offers so much to explore. Whatever type of vacation you are seeking, there is something here to suit the tastes of every traveler. Relax on the sands of pristine white beaches along the Adriatic Sea. Climb the dramatic mountainous landscape of Dinara for the best view. Explore quirky hidden treasures like the Malacological Museum. Croatia is a dream destination. Do you have any questions or comments for us? If so, feel free to leave us a message below. We will be sure to get back with you soon.